Written on August 27, 2018 . 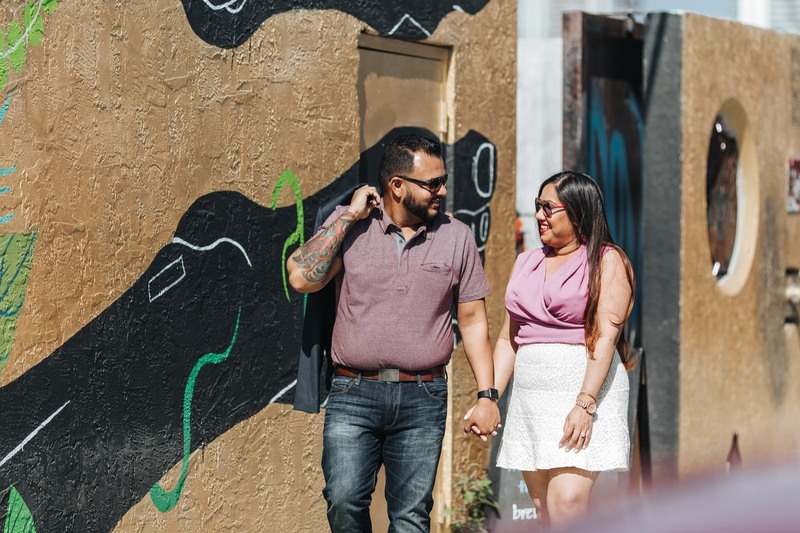 What an amazing miami engagement photography session it was. We started our photoshoot in Miami Wynwood Walls and ended up straight in Miami South Pointe Park which is hands dawn the best park in south FL and it is free and it is best place for photography so far. Beautiful place and couple makes my life as an engagement photographer way easier. It was an awesome experience to be an miami engagement photographer. What I like the most about Miami Wynwood Walls that it is so different and unique. I can mix both the landscape of the place and the couple as well. Here is an example of when your couple having a trust in you and open to your creative ideas, nothing releases photographer’s creativity more than knowing that they have your full trust.